Dr. Shaika Al-Arrayedh is Chairperson of Gulf Genetic Center and was Chairperson of Genetic Department, S.M.C, Bahrain. Dr. Shaika Al-Arrayedh had M.B.Ch.B from Cairo university, MSC, Human and Clinical Genetics UK 1984, and Ph.D. in Genetic in 1993 from Aberdeen University. Dr. Shaika Al-Arrayedh is the Head of National committee for the control of Hereditary diseases since 1993 and is a Member of WHO Expert Advisory Panel on Human Genetics since 2002 and a Member of American College of Medical Genetics, and Member of Hugo since 1998. 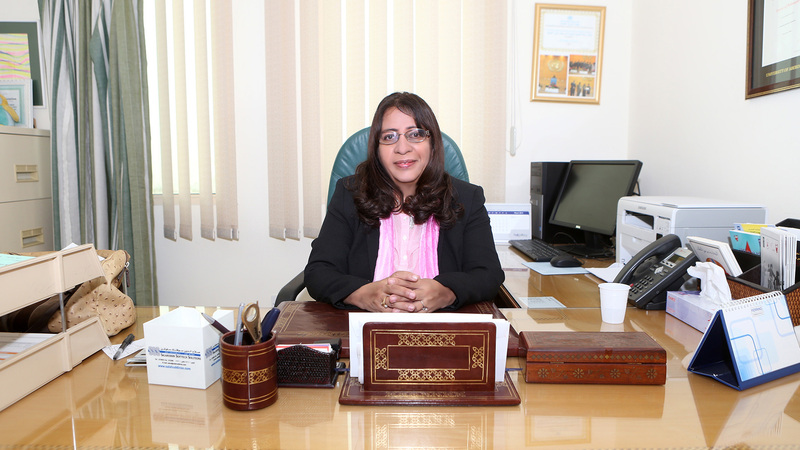 Dr. Shaika Al-Arrayedh is Chairperson of Genetic department, Salmaniya Medical complex, Head of National committee for control of Hereditary diseases at the Ministry of Health Bahrain since 1993. Dr. Shaika Al-Arrayedh is a Consultant clinical Geneticist at the Genetic department, Salmaniya Medical Complex since 1994 and is a founding Member of many societies, and chairperson of Bahrain National Hereditary anemia society where she organized many National projects such as premarital services, student screening for genetic blood disease, newborn screening, and Bahrain Birth Defect Register. Dr. Shaika Al-Arrayedh was awarded the (The Kingdom Competence Order of the first class) in 2004, and was a nominee for the international prize of (1000 women for the Nobel peace Prize) and has been awarded (the State of Kuwait Prize for Research in Health Promotion 2009) by the WHO. In 2012 Dr. Shaika Al-Arrayedh was awarded Dr A.T Shousha Foundation prize 2012 , EMRO,WHO and has published more than 60 scientific papers, and attended more than 150 international and national conferences.